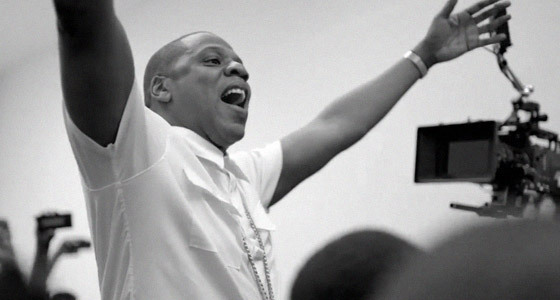 Jay Z’s film about his six-hour performance of “Picasso Baby” at a New York art gallery made its debut on HBO on Friday night. Directed by Mark Romanek, Picasso Baby: A Performance Art Film distills the rapper’s marathon performance and interactions with guests including Marina Abramovic, Judd Apatow and Michael K. Williams into a nearly eleven-minute long study. Just before the film’s 11 p.m. broadcast, Jay Z made an appearance on Real Time With Bill Maher, joining the HBO show’s panel to talk about art, hip-hop and politics.